Why term is the most affordable type of life insurance? Term life insurance is a policy that pays a death benefit to your beneficiaries if you die during the coverage period of the policy. They call it “term” life insurance because it is active for a specified period of time or “term”. Term insurance policies come in 5, 10, 15, 20, 25, and 30-year terms and have no cash value component. Term life insurance works well if you have a family that depends on your income or care. The biggest downside is that the policy expires at the end of the term period. If you want to extend your coverage, you need to requalify for a new life insurance policy. Is term life insurance a good fit for you? The answer to that question for most people is: yes. Term life is the most popular and affordable life insurance option in the United States — and for good reason. It provides the most coverage, dollar for dollar, and for most people that means a monthly cost they won’t even notice. For many, the cost is less than the average monthly gym membership. It is important to note that permanent life insurance can cost 3 to 20 times more than the same coverage amount in term insurance. We don’t prioritize or promote policies or quotes from a specific company. We believe this choice is entirely up to you. Instead, we make it easy for you to compare. We only quote and represent top-rated companies, allowing you to shop for the most affordable rates with peace of mind. See the table below to learn more about the ratings and approval times for the highest-rated companies we quote for term life insurance. Our Health Quiz asks the same questions life insurance companies ask and directs you to the life insurance policy that best understands your current situation. This way, you don’t have to wonder if you’ll be accepted. Life insurance is based on risk. The healthier you are, the less of a risk you are and the better your rates will be. Below, you’ll find an estimate of what health class and what rate you could be eligible for. Actual rates depend on a variety of conditions. For a detailed estimate, we recommend taking our Health Quiz or speaking to one of our friendly, licensed agents. While excellent health may sound intimidating, it’s more common than you might think. No, it doesn’t require you to hit the gym on a daily basis. If you’re between 20 and 35 years of age, don’t use tobacco products, and weigh a “normal” weight based on your height and gender, there’s a good chance that you’re eligible for the preferred rate. Of course, if you have (or had) health conditions, that could affect your life insurance rates. This is why we recommend taking our Health Quiz. Rates are examples only and subject to change. Term life insurance policies are a great option for people who are looking for affordable coverage but may have some blemishes on their health history. Even if you don’t qualify for preferred health class, the cost for term life insurance is still quite reasonable if you’re younger and your overall health is good. We recommend that you take our Health Quiz to find out which term life insurance policy would be a good fit for you. Getting great term life insurance if you have existing health issues is not impossible, and it may not cost as much as you think. At True Blue, our agents are trained not only to understand a variety of health conditions but also to know which life insurance companies are more lenient when it comes to these issues. Life insurance companies look at various health conditions differently. The key to getting the best rate possible is to work with an independent agent who knows how different insurance companies will treat your unique situation. Ready to See Your Life Insurance Quotes? When does term life insurance end? Term life insurance is a temporary form of life insurance that lasts for a specific period of time (the “term”). Once you have a term life insurance policy in place, the policy will only end after the time period has elapsed, if the benefit has been paid out, or if you stop paying on the policy (if you let it “lapse”). Term vs. whole life insurance — which is better? 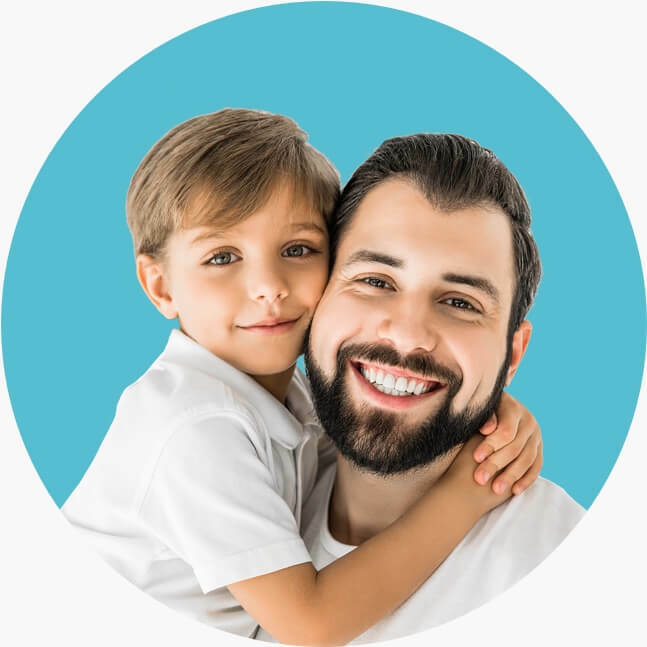 When it comes to buying life insurance and finding the best value for your money, term life insurance is undeniably the best option. Although whole life insurance provides lifetime coverage and an accrual of cash value, the monthly cost is usually much higher and the payout is significantly lower when compared with term life insurance. What about my group term life insurance? Employer-provided life insurance benefits are a great perk, but it’s not wise to rely upon them as your sole source of protection. Why? Because your employer owns the policy and can change the benefit at any time. Group term life insurance policies rarely pay out. That’s because most people who end up needing the insurance are no longer able to work or no longer have access to the benefits (due to a change of employment, unemployment, taking a leave without pay, etc.). We recommend that everyone have a stand-alone individual term life insurance policy as their main source of protection. Can I get term life insurance without a medical exam? No exam term life insurance is becoming extremely popular, as more people either wish to avoid the exam or just don’t want to deal with the inconvenience. While the underwriting process is still the same for these types of policies when it comes to reviewing some of your other information, being able to skip the medical exam helps make the process quicker. While no exam term life insurance policies are marginally higher in cost, they provide the same quality of coverage as a traditionally underwritten policy. Why do Dave Ramsey and Suze Orman like term life insurance? Financial coaches like Dave Ramsey and Suze Orman like term life insurance because it’s inexpensive and effective. Most of these types of advisors recommend that you “buy term and invest the difference” (BTID). In other words, get a good term life policy and put the money you save into other investments to maximize long-term growth. 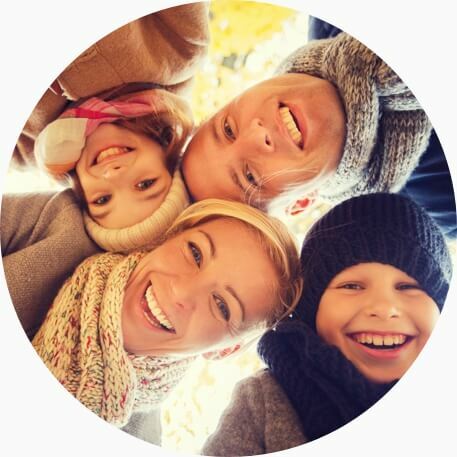 While term life insurance works well for the majority of people we talk to, there are situations in which a whole life policy makes sense — such as for those who need more advanced wealth management or estate planning solutions. Does term life insurance have a cash value? No. Term life insurance is simply temporary life insurance coverage. It’s not designed to have any type of cash value. You die, the policy pays. Simple and straightforward. Can I get term life insurance with long-term care? Long-term care can be added to a life insurance policy in two ways: with a long-term care rider or a living benefits rider. Long-term care riders are becoming less common, but a few insurance companies do provide them as an additional coverage option for a higher price. Just like stand-alone long-term care plans, long-term care riders help cover the costs you would incur if you were placed in a long-term care environment. Living benefits riders are gradually becoming more commonplace, and many insurance companies offer them at no additional cost. This type of coverage allows you to cash out part of your benefits to cover long-term care if you receive a diagnosis of a chronic or terminal illness. This additional coverage helps offset some of the costs associated with treatment, including long-term care, as well as end-of-life preparations.